I came across this video of an insanely unappreciative girl’s reaction in receiving her sweet 16 gift "early" via Daniel Francavilla on Twitter, and I just had to share it on my blog. Check it out! Hard to believe, no? A $67,000 Lexus for her 15th birthday, and that’s how she reacts!? "You guys like making me look like a fricken’ poor kid in front of all my friends all the time!" Seriously?! She won’t even drive the car around the block because it’s the wrong color? How does this stuff happen? Well I’m guessing that when the mom (in a fur coat) walks away from the situation and tells her husband "you deal with her" that might have something to do with it… You think? 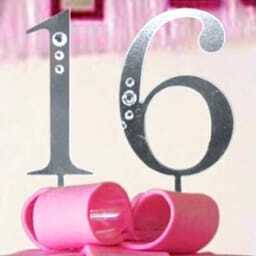 Sweet 16 Birthday Cars was published on Saturday, August 6, 2011 at 6:01pm EDT by Daniel Menjívar and last updated on April 11, 2018 at 9:30pm UTC .